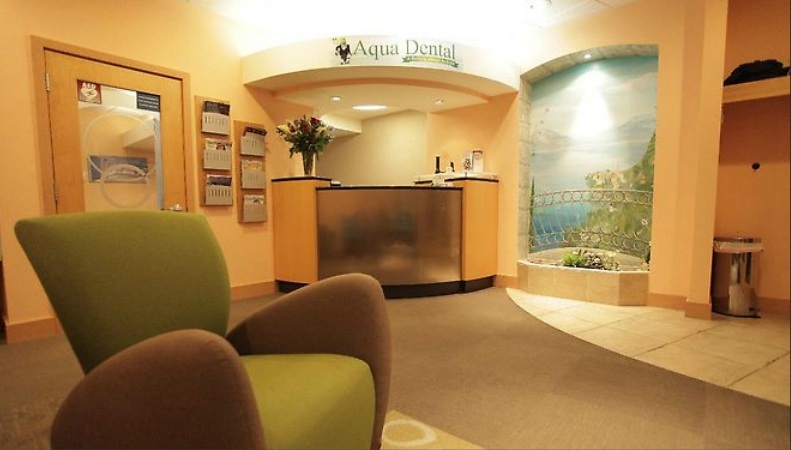 Our goal at Aqua Dental is to provide you with a comfortable and pleasant experience. Each treatment room is equipped with a flat screen TV, headphones, pillows and blankets, so you can feel at home while receiving treatment. The office utilizes digital X-rays, which are safer, faster and more accurate, as digital X-rays significantly reduce the amount of radiation exposure to you and your family. We also use the Waterlase, which is one of the most advanced all-tissue dental laser technologies available today. It is a painless, more effective way of getting your dental treatment done.